A felony charge of any kind can be frightening. A felony conviction can permanently alter the course of your life. A felony conviction robs you of your freedom, sometimes for years, subjects you to staggering fines, makes it difficult to find a job post-release, and will alter your relationships with your spouse and family. When you or a loved one is facing a felony charge, it is best not to try to go it alone. You need an experienced McAlester felony defense attorney to help defend your rights. Wirth Law Office McAlester attorney is here to help you through this stressful time. An experienced felony defense attorney is indispensible if you are facing a felony charge of any kind. 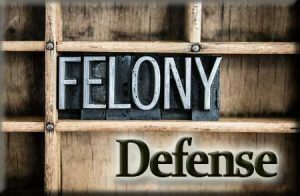 An experienced felony defense attorney will help you with every aspect of your defense. Unfortunately, law enforcement officers sometimes resort to illegal search and seizure as the basis for an arrest. Or they might pressure a witness into fabricating a story that may implicate you. Police may also try to pressure you into making a confession. In all these cases, your attorney in Mcalester Ok who may discover a way to have charges reduced or dismissed depending on the circumstances. Police may try to keep you in custody longer than is warranted in hopes that they can gather enough evidence to secure a conviction. Again, your experienced McAlester felony defense attorney will be there to guide you through this experience. It was not until the United States Supreme Court ruled in 1963 that police must advise you of your basic rights at arrest, that police were required to alert you that you have the right to representation and that anything you say to the police can be used against you. Both of these rights are fundamental to our legal system and they are both critical if you are arrested. When police fail to advise you of your rights or ignore your requests for representation post-arrest, these facts can be critical in securing your release. It is important that you do not speak to police without the presence of your attorney. Once police advise you of your rights, it is up to you to assert your rights. You will need to tell investigators specifically that you want to talk to an attorney. Once you have made the request, it is important to remain silent until your attorney advises you differently. Police can and do trick suspects into continuing to talk to them in an attempt to gain more information, trip up a suspect’s story, and obtain a confession. Even when a police officer seems to be on your side, they simply are not. The right to bail: Bail cannot be arbitrarily or unreasonably withheld from the accused. Your attorney can advocate for a reasonable bail amount on your behalf to allow you to continue to live and work outside of incarceration until your trial. The right to a speedy trial: The prosecution cannot delay your trial unnecessarily. Delays can sometimes work in the prosecution’s favor, sometimes in your favor. Your attorney will know how and when to press toward trial and when not to. The right to confront your accusers: The prosecution must prove their case against you beyond a reasonable doubt. It is a heavy standard to meet and it cannot be met without witnesses. When witnesses fail to appear, it may open the door for dismissal of the charges against you. Trust your attorney to let you know if your rights have been violated in this or any other regard. A presumption of innocence and the right to a fair trial: This is a concept that can look quite complex at trial. All the rules must be adhered to. That means that the prosecution must adhere to the rules of evidence and criminal procedure. The evidence that is presented against you cannot have come from an illegal search or seizure. It must have been obtained lawfully and must be presented lawfully. When it is not, your attorney can seek to suppress the evidence. If the prosecution cannot present a viable case without tainted evidence, your attorney can seek a dismissal of the charges against you. Evidentiary rules are in place to ensure that you receive a fair trial. The right to due process: The right to due process starts before trial and includes the right to ask higher courts to review trial court decisions. During a trial, it is important to make all the proper objections to evidence that is unfair or unduly prejudicial against you. This protects the record in case an appeal is necessary. When mistakes are made by the attorneys or the judge at trial, protecting the record by objecting to unfair evidence allows you to preserve the grounds for appeal. Your attorney is well-versed in the rules of evidence and will help protect your rights before, during, and after trial. Retaining an experienced McAlester felony defense attorney is one of the most important tasks that you may be faced with. Call today. The Wirth Law Office – McAlester is proud to provide its clients with the very best in representation at reasonable rates. 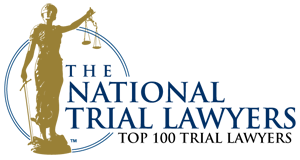 For a free consultation with a McAlester criminal attorney, call 918-302-9656 or submit your question at the top right of this page.